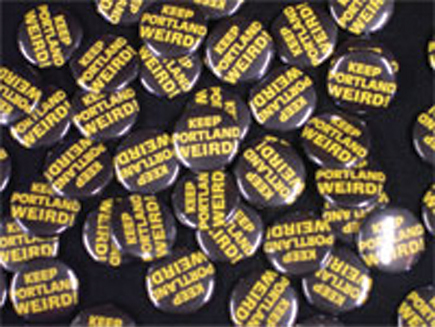 Shine like the star you are when you place one of these Keep Portland Weird buttons on your backpack, purse, hat or jacket! They're subtle and simple.Tell the world you believe in keeping Portland different from the rest. Only $1.00 each!